Physical property measurements are no better than the degree to which the samples represent the formation or mineralization zone under study. For meaningful results, select samples typical of the area under investigation in terms of quantity and characteristics. We recommend selecting a suite of samples from the surface area and/or from available core obtained by drillhole, and sending an excess of samples so that laboratory staff can choose the ones best suited for testing. Depending on the procedures desired, samples may be surface or underground grab samples, drill core, chip samples, or mud samples. To determine anisotropy such as commonly occurs in bedded or schistose rocks, it is strongly recommended that samples be cubed or cored in three mutually orthogonal directions for three tests per sample. Select bulk samples with a minimum size of 4″ x 4″ x 4″ (10cm x 10cm x 10cm). This is about the size of a large fist. 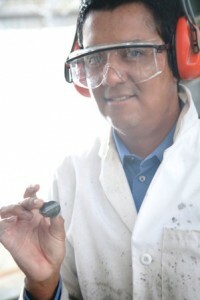 Core samples should be a minimum of 5″ (13cm). 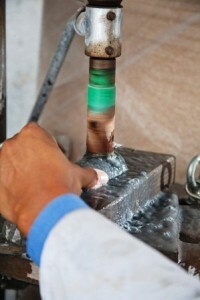 Samples should be fracture-free, although mended (silicified) fractures are usually strong enough to withstand cutting. If this size is not attainable, two or three pieces of a slightly smaller size may suffice. Samples for magnetic remanence vector measurements must be oriented in space. Document the in situ orientation in space for the submitted sample. 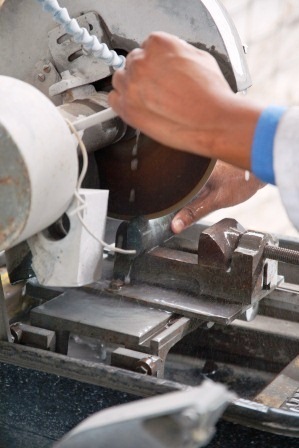 Most holes are drilled at an angle, not vertically. Orient the sample as it was in situ, with the appropriate end pointed toward the surface, rotated so the appropriate cylindrical “side” is oriented “up.” Mark an arrow on the “top” of the cylindrical side, pointed down hole. Document the declination and inclination for this arrow. Mark all other samples with three lines: an arrow pointing North on the top surface, and a line indicating horizontal on each of two, preferably perpendicular sides. Email us at zonge@zonge.com or call 1-520-327-5501 (U.S).